Ken entered the Real Estate profession in 1992 after completing tertiary studies in Agency Practice. After completing the necessary practical component in his licensing programme which was spent with various real estate firms in the Central Coast Region, he embarked on establishing a rural based property agency from premises at Kariong. That involved the sale (both by private treaty and public auction), leasing and management of rural property and livestock along the Central Coast rural hinterland. The business also included the sale of rural and general insurance contracts along with a general auctioneering function. 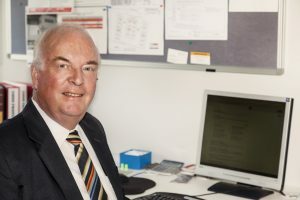 To further supplement the stock and station agency business, Ken taught in the area of Real Estate at both the Gosford and Wyong campuses of the Hunter Institute of TAFE. He was then approached to write a textbook, entitled ‘a Stock and Station Agents’ Handbook’ which was published by Butterworth Heinemann Australia as an essential text for those studying stock and station agency and associated rural based industries throughout Australia. He later undertook casual work as a teacher and assessor of real estate practitioners undertaking compulsory development studies. The success of the business quickly grew and he was joined by his son Geoff who had then just graduated with a Business Degree from the Newcastle University. Together Ken and Geoff broadened the nature of the business to include the sale and leasing of residential, commercial and industrial property. After some ten years, the residential and rural parts of the agency was sold whereby Ken and Geoff moved to separate premises at Kariong and continued trading exclusively in the sale, leasing and management of industrial and Commercial property from their West Gosford premises which simultaneously changed its name to Central Coast Commercial to reflect a much broader area of operations. 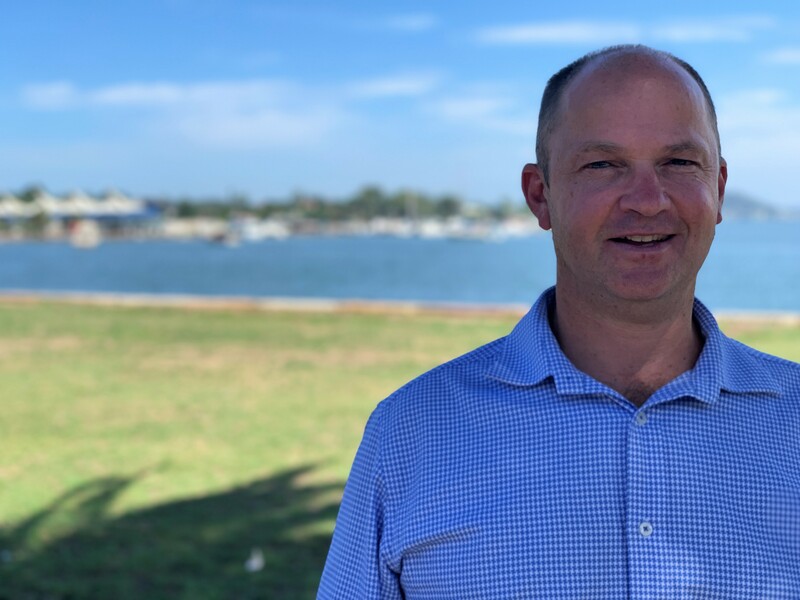 Geoff has been a resident of the Central Coast for most of his life after moving to the region from various NSW country towns. 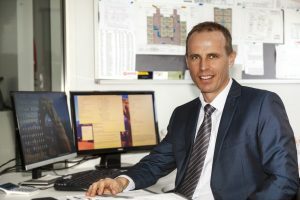 He attended Gosford Public School, Henry Kendall High School and then after completing studies at the Central Coast Campus of the Newcastle University, he graduated with a Bachelor of Business Degree, Majoring in Management and Specialisation in Marketing. It was during his time at High School that he was offered a part-time position with a local real estate agency where he was exposed to various real estate activities including property management, property development and the maintenance of trust accounts. His interest in real estate studies continued and he undertook further studies, obtaining a Diploma in Business (Real Estate Management) during which time he joined with his father Ken Emms in the operation of a diverse real estate practice at Kariong. That business included such facets as the sale of residential, rural, commercial and industrial property, livestock and general auctioneering, business broking and general insurance. After some ten years of trading, the residential and rural real estate activities were sold to allow Geoff and Ken to concentrate exclusively on the industrial and Commercial components of the business under the banner of Central Coast Commercial at West Gosford. Geoff is a Licensed Real Estate Agent, Business Agent, Stock and Station Agent and an Accredited and unrestricted Auctioneer. He is the proud father of two teenage boys and a daughter. He is presently living at Kariong but is awaiting the completion of a new home at Green Point. Having spent almost 30 years in the real estate industry Michael has a complete and thorough understanding of all facets of the industry from property management to sales and development in both residential and commercial markets. Reaching the status of being a life member of a well-known franchise’s Multi Million Dollar Captains Club – a level of excellence achieved by only 2% of their past and present sales people, Michael decided it was time to move into a boutique agency that through its smaller nature is able to offer a more personal and hence superior level of service to its clients. With those record numbers comes spectacular opportunities. To discuss how you can capitalise on our rapidly growing market please call or email Michael at any time.